Kalium Lakes has penned a binding offtake agreement for as much as 90,000 tonnes per year of sulfate of potash from its Beyondie project. 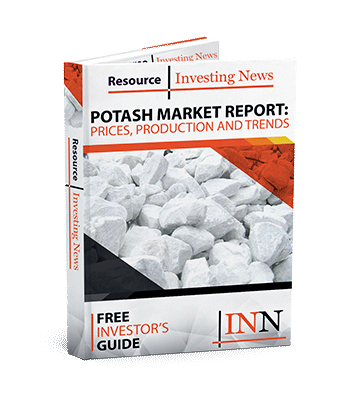 Australian potash company Kalium Lakes (ASX:KLL) has penned a binding offtake agreement for as much as 90,000 tonnes per annum of sulfate of potash (SOP) from its Beyondie project. The deal, which was signed with German fertilizer producer K+S (ETR:SDF), is expected to last 10 years and raise AU$650 million in revenues for Kalium. K+S is considered to be the largest SOP producer in the world, with annual potash revenues of roughly 1.9 billion euros. SOP is used to produce a higher-priced specialty fertilizer ideal for growing specific fruits such as mango and pineapple as well as vegetables and tobacco. Kalium’s Beyondie SOP project, located in the East Pilbara region of Australia, will be the first of its kind on the continent, with initial production targeted for 2020. Kalium’s management is now working to finalize final investment decisions, which it expects to complete during the second quarter of this year. The offtake deal will allow K+S to serve a larger customer base and is also a key step in the company’s new business-wide strategy aimed at streamlining productivity and increasing efficiency. The German fertilizer company is expecting the first SOP shipment from the Australian agricultural miner to be ready by the end of 2020 or beginning of 2021. Shares of Kalium Lakes were flat on Tuesday (March 26), trading at AU$0.495.